The Lake District is one of the most beautiful parts in the UK. This mountainous area located in the north west of England attracts both local and international tourists. As the name suggests, there are several picturesque lakes to be found here as well as magnificent mountains and forests provide fantastic fresh air. 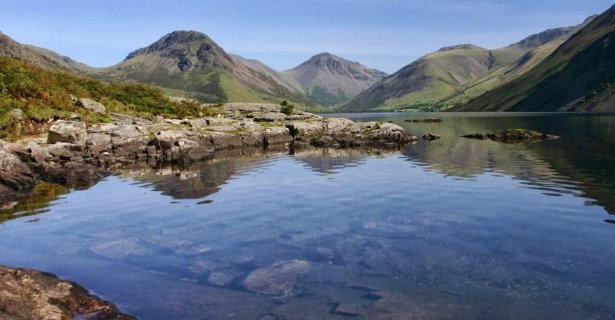 If you are planning a trip to this part of the world, a trip through the Lake District is certainly worth your while and can be explored in just half a day or a whole day depending on how much time you have at your disposal. If you wish to spend some extra time here, why not pick up a motorhome rental, RV or campervan hire to ensure comfortable and more flexible travel plans? There are a number of camp grounds in the area which will allow you to really take in your surroundings and save money by not having to reserve hotel rooms for your stay. There are a number of different roads and routes to discover while you are in the Lake District. If you have just a day or two at your disposal, however, then you will need to pick just one to enjoy. In this case, the round trip from Windermere is a popular choice and the drive itself won’t take more than 3 hours. That said, there are several stops along the way and there really is nothing like enjoying a relaxing meal as you enjoy the views of these parts. As you begin in Windermere, you will travel north to visit the Holehird Gardens. These colourful gardens are wonderfully maintained and incredibly inviting. Take the time to enjoy the fresh air and stretch your legs before you continue your drive. Next on your itinerary is a stop at the Troutbeck Conservation Village as well as the National Trust Property of Townend. The route will then take you to the Kirkstone Pass which will reveal some of the most amazing views of your surroundings. On your way to Ullswater, you will pass through Glenridding. Visitors often stop here to enjoy an unforgettable trip on one of the old “Steamers”. The lake views through Ullswater are truly remarkable so take your time as you drive through this area and put your camera to good use! You will then reach the Pooley Bridge before entering Tirril. The Victorian Steam-powered Pottery manufacturer in Cliburn is a popular place for visitors to frequent since t gives much insight into the history, culture and local industry. The lush green Lyvennet Valley is another pleasure to experience along the next portion of your drive. You will pass through the lovely village of Maulds Meaburn where you will likely feel as though you have stepped back in time! Finally, the last part of your trip will take you back to Windermere where you will conclude your round trip drive. If you did not spend much time in Windermere before your departure, now is the perfect time to do so. Windermere is home to the deepest lake in the area and many other lovely natural sights. If you are particularly limited in terms of time or if you wish to enjoy more than one drive, you can explore the route mentioned above as well as a trip around Windermere and Coniston. It is important to understand what each area offers in terms of activities in order to best plan your trip. Boat trips are popular in Bowness, the Lakes Aquarium is located near the Newby Bridge and Lakeside and Haverthwaite Railway rides are also fun for the whole family. If you drive out to Coniston, make sure that you stop in Coniston Fells and spend some time here before you continue. Once in Coniston, there are a number of sights that await, including the John Ruskin Museum. The Orrest Head historic walking area is a popular trail as well as the Old Man of Coniston hiking trail. Derwent Falls are superb for those seeking more tranquil surroundings. In the Lake District, you will also find the 12th Century Appleby Castle, the Brough Castle and many more depending on the route(s) you choose to explore in this area.